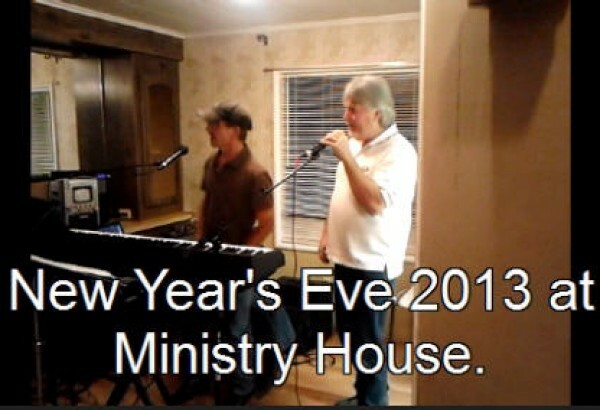 Home > Ministry Blogs > Blog > We Started 2014 With a Bang! What a great time we had on New Year’s Eve! Karaoke, musical entertainment by Matt Pelt and John Knaves, great home cooking, and the kids made crafts. We sang and played past midnight, and the group voted to sing “Redeemed” while it turned midnight and we brought in the New Year (YouTube video below), because the thing we are most grateful for is that we have been redeemed from our past, our sins, our strongholds, our habits, hang-ups and hurts through the blood of Jesus Christ. Thank you to the adults and kids who came and made this the best New Year’s Eve we can remember. Here’s to looking toward the victories and the blessings that this year will bring, and the empowering power of the Holy Spirit of God who will continue to change us into the image of our Lord and Savior, Jesus Christ!